Just in time for Valentine’s Day! 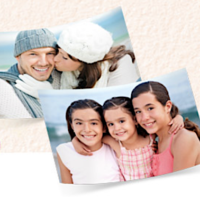 Through February 12th, CVS is offering a FREE 8×10 Photo Print when you login and use promo code VALENTINE at checkout + FREE Store Pickup ($3.99 value!). Note that this offer may not be valid on the mobile app. Spread the word! This was suppose to be a Free photo but I never saw where I was to type in VALENTINE at check out!